The Life Cycle Initiative is a partnership of institutional members from three broad constituencies (government, business, science and civil society), also allowing for individual members from science and civil society. The membership is represented in an assembly, where members elect their representatives to the Steering Committee and are informed of the progress of the Initiative. The Steering Committee makes the necessary decisions to deliver the mandate of the Initiative, allocates resources and endorses programme implementation. 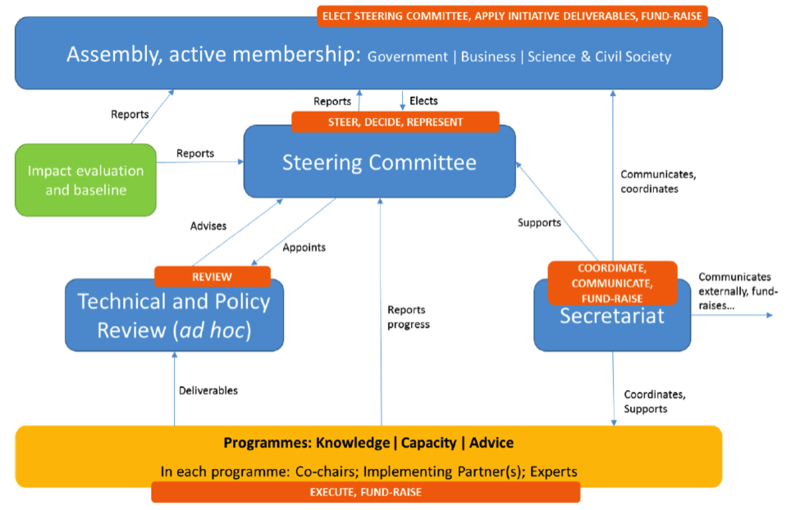 Programmes are led by co-chairs appointed by the Steering Committee, and are responsible for delivering the work of the Initiative – regularly reviewed by ad hoc committees. Finally, a Secretariat hosted by UN Environment coordinates the different bodies and is in charge of internal and external communications. The Steering Committee elections were carried out online during 27 September – 1 October 2018. The elected steering committee is listed below. An explanation of the results and the consideration of geographical balance in each constituency is also available.